Store all all the things you don’t need that often in one of these handy overhead racks. 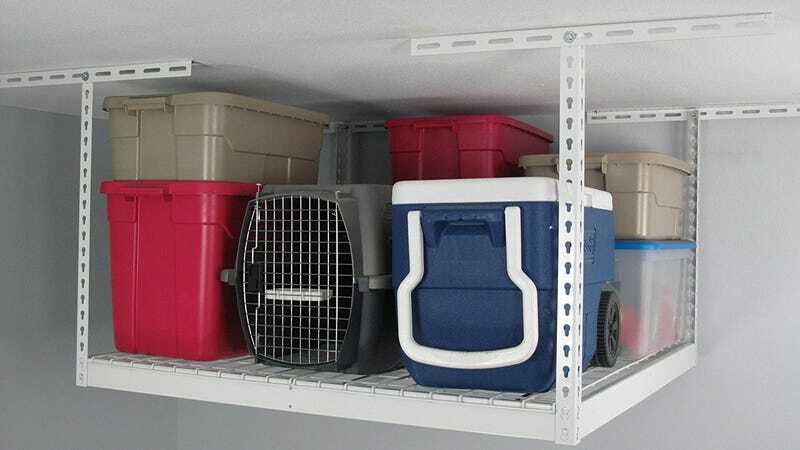 A 4' x 4' rack and a 4' x 8' rack are both discounted on Woot today, so your holiday decor, suitcases, coolers, and more will be out of the way, without the hassle of renting a storage unit or schlepping them to the hot attic or basement. This sale will only last until the end of the day, or until the shelves sell out, so don’t wait too long.